"After the death of all humans one bee remains to pollinate all the flowers on Earth. Little Bee, take flight! Little Bee cannot fight. There are no monsters. Flowers are your only friends." 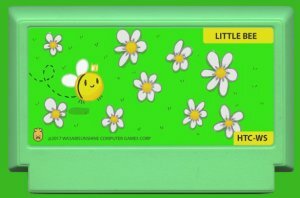 Use cursor / WASD / Swipe to move little bee. R Restarts the level. Visit all flowers. Don't cross your own path. I feel like I've played a dozen of these games over my lifetime, heh. (Usually it's ICY FLOORS!) 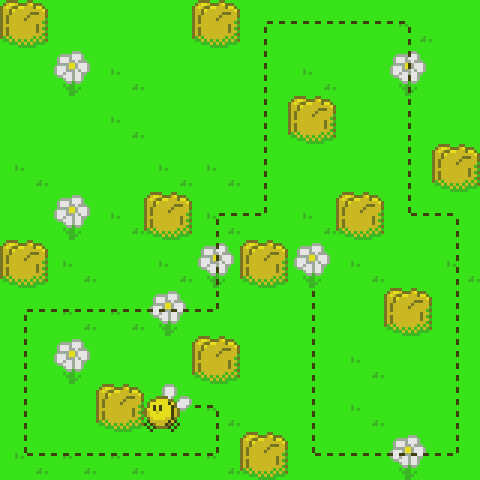 It works well, though, and the game IS pretty cute! I like your interpretation of the cover! 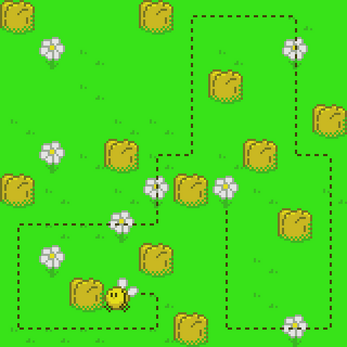 Cute little path puzzle game. Good job! I was going to pick this cover but I got really swamped and had to leave the game jam. Fist-bump!